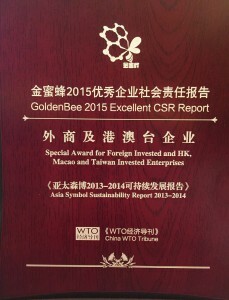 Asia Symbol recently clinched the “GoldenBee 2015 Excellent CSR Report” Award for “Foreign Investment Enterprises and Hong Kong, Macao, Taiwan Investment Enterprises” for its Sustainability Report 2013-2014. 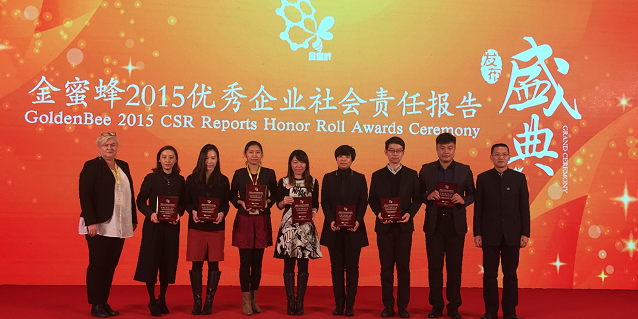 The world-leading China-based pulp and paper producer was among seven recipients given the prestigious award at the Eighth International Symposium on China CSR (Corporate Social Responsibility) Report, held in Beijing Dec 3, 2015. This award affirms the quality at which the Sustainability Report was written. 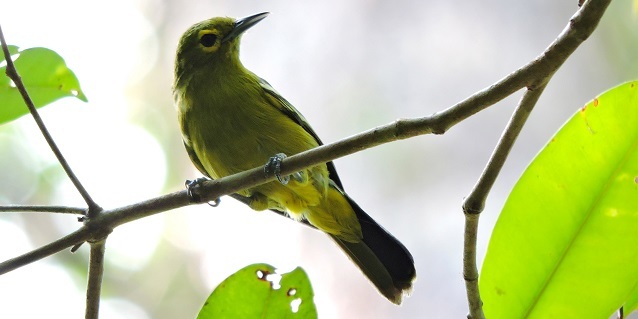 It also acknowledges the outstanding achievements Asia Symbol has made in stakeholder communications, and sustainable development and practices. With their evaluation based on the criteria of innovation, reliability, materiality, comparability, completeness and readability, the Awards evaluation committee highlighted the commendable standards with which Asia Symbol strategises, organises, executes and documents its sustainability agenda. 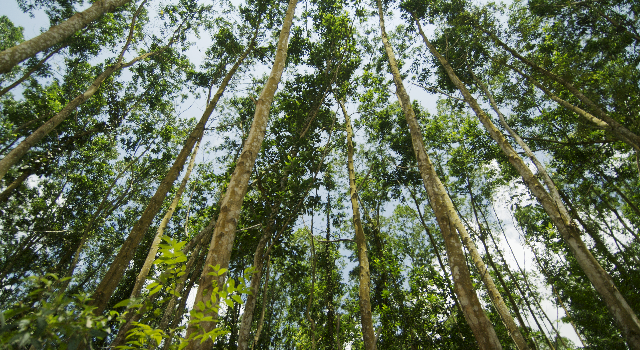 Comprehensively covering areas such as enterprise value creation, energy saving, environmental protection, and community care, Asia Symbol’s Sustainability Report was said to contain rich data and practical cases on stakeholder engagement, environmental stewardship and community development activities. The Report was lauded for its structure and detailed contents, and praised as good sustainable development report with distinct industry characteristics. The Eighth International Symposium on China CSR Report was hosted by the China WTO Tribune, China Business Council for Sustainable Development, Swedish Embassy in China and GIZ. It was attended by over 300 representatives from domestic and foreign government agencies, enterprises, industry associations, research institutions. They shared and discussed the new trends and regulations in social responsibility reporting. 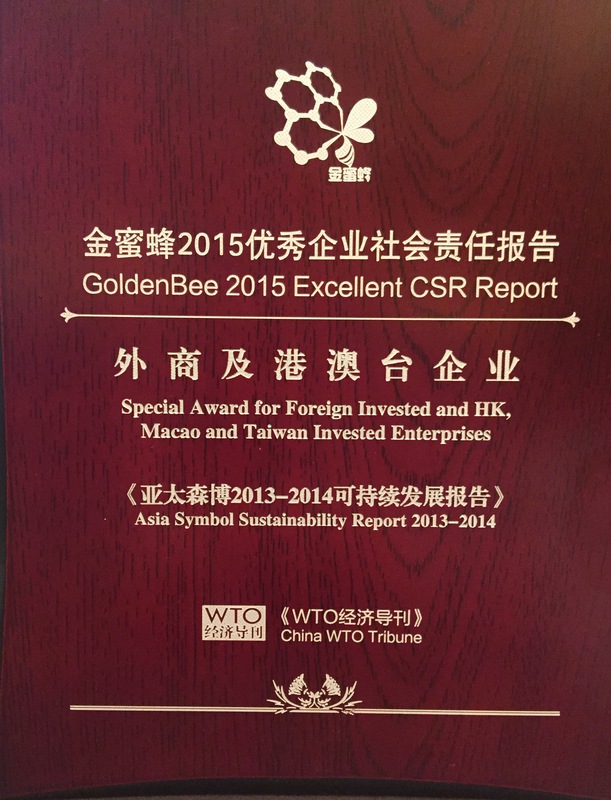 In its seventh year, the GoldenBee Award is the most authoritative CSR reporting evaluation China. This year’s edition saw 2,265 submissions of CSR reports released before Oct 2015. 1,775 were evaluated and 62 were awarded prizes in the categories: “Leader Type Enterprises”, “Growth Oriented Enterprises”, “Foreign Investment Enterprises and Hong Kong, Macao Taiwan Investment Enterprises”. 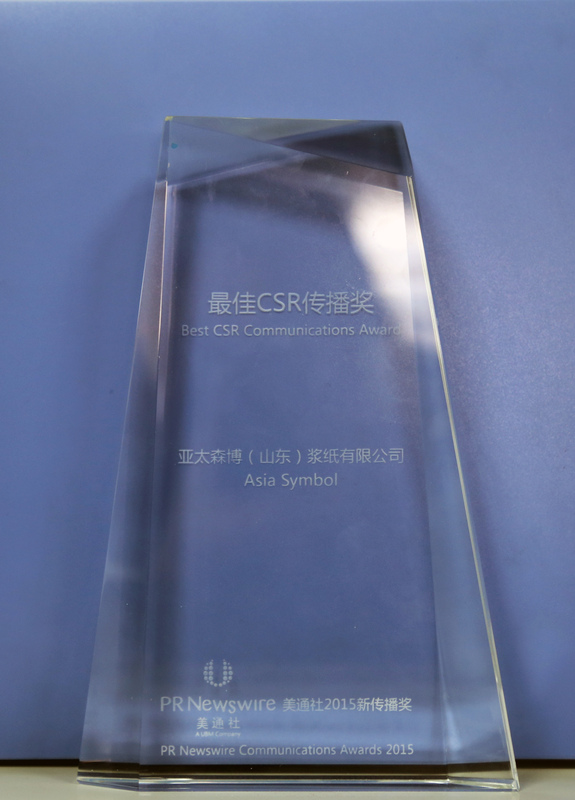 Asia Symbol picked up the PR Newswire Best CSR Communications Award in November. The GoldenBee Award marks another milestone for Asia Symbol, whose mission is “Sustainable Development for a Better Life”. 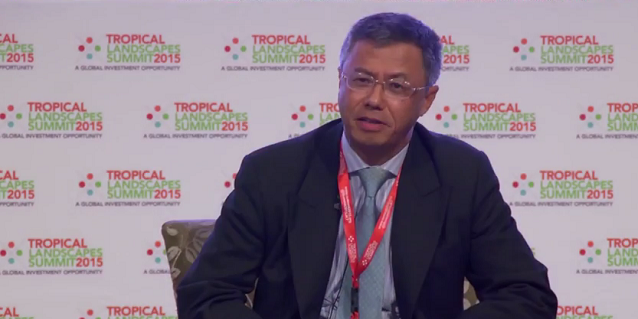 The Award was also not the only honours earned by the company which has a year-round wide-ranging CSR programme. It was awarded the “PR Newswire Best CSR Communications Award” on Nov 26, 2015. 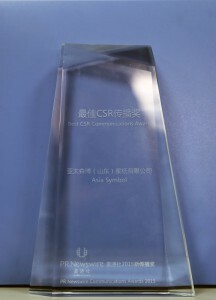 Asia Symbol’s “I am a Little Paper Maker” project, which engages and educates children to recycle and reduce waste, was recognised as “Best CSR Case 2015 of Enterprises with Foreign Investment” by the China Association of Enterprises with Foreign Investment and China WTO Tribune Dec 9, 2015. With over 20 classes conducted, the project has gained popularity in primary schools across Shandong and Guangdong. These achievements cap off a good year for Asia Symbol as a responsible corporate member of the community, whose numerous CSR activities aim at benefiting communities and the environment. In the region, it remains a shining representation of RGE Chairman’s Sukanto Tanoto’s business philosophy of doing what is good for community, country and company. 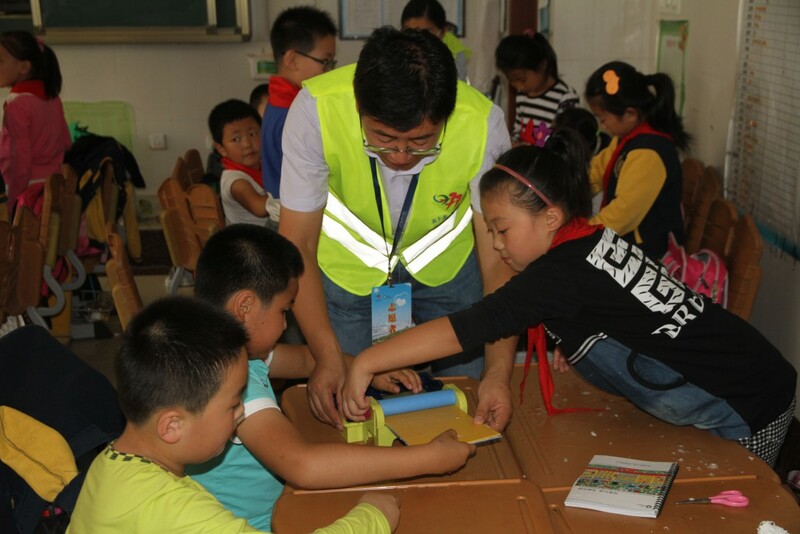 Asia Symbol reaches out to primary school students through the “I am a Little Paper Maker” project, raising awareness on good habits in recycling and reducing waste.